Salespeople focus more on what to say than how to say it. The message we deliver is not what we say, but what the other person perceives we say. Furthermore, experts say 93% of the communication we do is nonverbal. Improving your sales communication skills requires mastering verbal and nonverbal communication. Salespeople use a variety of techniques to persuade customers. But if you go into a sales meeting thinking, “I’m here to sell something,” you’re in the wrong mindset. Instead, you should think “how can I help this person”. Your opportunity to help can exist only if there is a mutual understanding. In order to create that bond you need to go deeper than surface-level sales techniques. 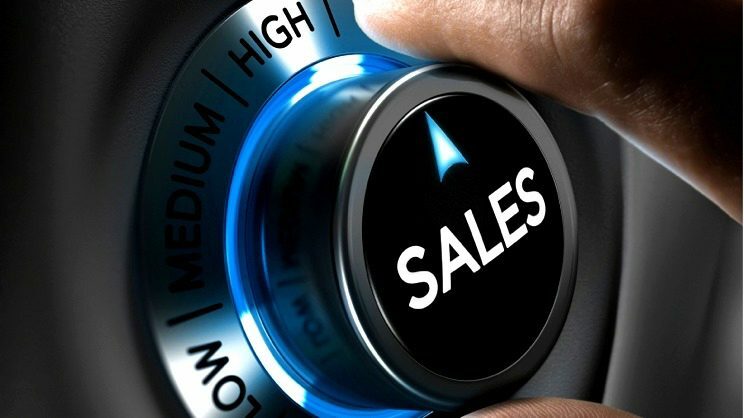 For a list of sales techniques, approaches and tricks, go to the complete list of sales techniques. Becoming a master in sales communication requires understanding how to approach social situations while being smooth in conversations. There are 6 major elements of effective sales communication; assertiveness, authenticity, open mindedness, empathy, clarity and listening. You want your message to have an impact. This requires you to be self-assured and confident in conversations. You might feel like you’re never being heard in conversation. This is primarily because you let other people push their agenda upon yours. The best way to communicate your message is to assert yourself in the conversation and be confident in the delivery of your message. This means being true to yourself. When talking to people, do you stick to your own values and beliefs? People want to be polite and try to keep the conversation going well - they ignore how they feel to avoid offending others. Have you ever had an awkward conversation in which you laughed at a stupid joke? Then you were ignoring your authentic self. The authentic self is the version of you that honours your true values in any situation. Know your values and fight for them. Most people need effort and consistent work to get to that point. In the long run, it rarely lasts. People see through your in-authenticity. They feel it, which causes a reverse effect to your purpose. Your message and ideas get deluded and don’t have the power you want them to have. If you’re willing to consider other perspectives, scenarios and ideas, you are open minded. As a salesman, you will speak with many people. So don’t close your mind to their ways of thinking. If you close your mind and only see your perspective, you build a wall between you and the prospect where effective communication becomes impossible. People want to communicate with someone who wants to listen, not just in a superficial way, but in an honest way. The ability to understand and share feelings is a very important part of being human. Mirror neurons are specialized neurons that respond to the actions we observe in others. They cause us to experience the emotion that someone else experiences, which allows us to have empathy with others. People want to be understood. If you can communicate that you understand the person you’re speaking to, you develop common ground. Common ground is the best foundation to address problems and challenges, you must be empathetic to connect with your client. What you communicate is not what you say but what the other person perceives. Our intended message is often lost or misunderstood in sales communication. Whatever the other person hears and understands is what is actually being communicated. Clarity is all about being precise and getting your attention in line with what the other person perceives. Listen to yourself as you are the other person to optimize your clarity. A conversation can't happen unless you pay attention to what the other person is saying. People want to feel that you hear them, so let them know you are listening. Be an active listener by being invested in the conversation - nod your head, make little comments, like “I see”, “alright”, “oh interesting point”, or ask questions to be engaged and show them you want to know more. To improve sales communication skills, you should think which areas cause you the most friction in your communication. When you figure out which ones these are, you will need to work on that for the next 30-90 days to become a master. For example, ask yourself “how do I become more empathetic?” To develop empathy, you should be curious about other people's lives and what you have in common instead of what makes you different. In a conversation, put effort in your questions and listen to what the other person emphasises on. Go and do research, ask yourself if you have to put more time into preparation, get feedback from your boss, practice at work and other places. In a professional context you need to know that it takes work and practice to improve your sales communication skills. Verbal words only constitute 7% of what a person takes away from a conversation. The other 93 percent are divided between body language with 55% and tone voice with 38%. Many salespeople talk too much, they focus more on what they say and the smoothness of the conversation than how they deliver the message. Average salespeople talk 81% of the time in a sales meeting. To avoid this, follow the 70/30 rule, let the customer do 70% of the talking. With the right body language, you encourage your prospect to talk more and enhance common understanding. Whenever you go to a sales meeting, let the prospect open up and pay attention to his/her nonverbal communication. The first impression often makes or breaks the sale. Effective nonverbal communication is crucial to improve sales communication. The following nonverbal cues will enhance how people perceive you. Your handshake should be strong and firm. It reflects your character and the quality of the product or service you’re offering. Handshakes are about pressure, too much indicates dominance or ignorance, too weak signals lack of confidence. Use a firm grip and try to mirror your prospect’s handshake. Try to be the one who initiates the handshake. Look directly in the eyes of the prospect and say “How are you?”. If done properly, it creates positive long-term effects and has a big impact on your sale. Don’t touch your face. Touching your face - even rubbing your eyes or scratching your nose - can be an indicator of dishonesty. 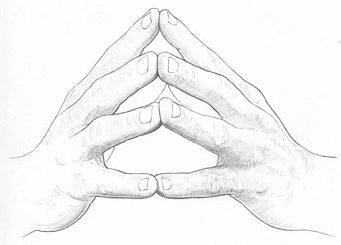 Keep your hands in front of you or to the side with your fingers together. I am confident in what I want to say. I know what I am talking about here. 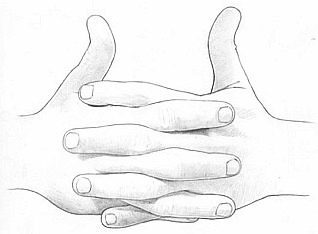 To see more explanations of nonverbal gestures, click here. Eye contact is a significant part of good sales communication. It creates a connection, so be sure you should make eye contact at least half of the time. Too much can be awkward and too little can be interpreted as insecure or uninterested. Always stand up straight and face the prospect directly. Lean slightly forward and never lean against the back of the chair. This makes you appear more attentive and confident. Relax your shoulders so you don’t seem tense and lean them slightly forward. Don’t cross your legs. Crossing your legs indicates that you are holding back information. Crossing your legs at the ankles shows that you are not telling your conversational partner everything they need to know. Generally, people are bad at generating results. The world, however, runs on results. Whether it is business, money, career, fitness, relations or your internal mood. Everything you are looking for in life is a result. If you don’t have that way of thinking, you will be a poor result maker. 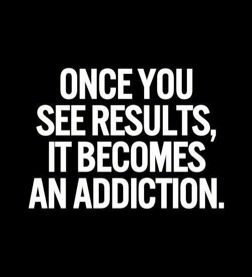 This attitude helps you achieve better results. It’s an attitude you take towards life. It’s living up to your full potential. If you have accomplished great results in life, you can look back on them. 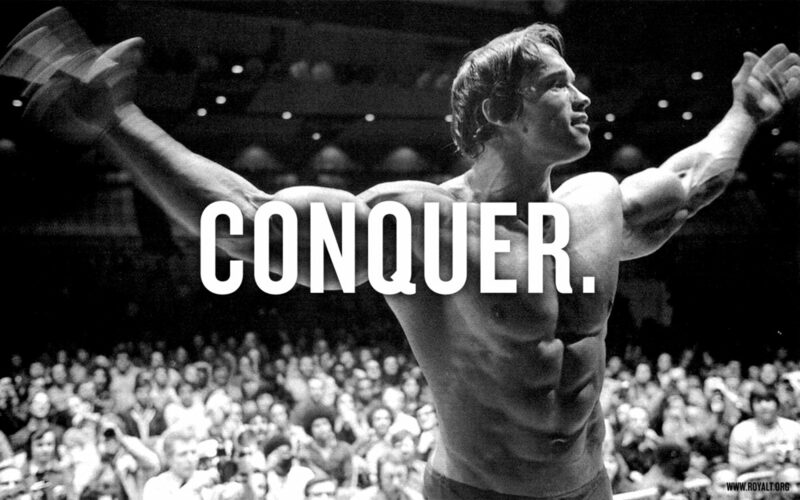 You feel more confident and motivated to achieve even more. Why are people not result makers? Because they have a lot of dreams but do not pursue them sufficiently. They lack the ability to translate them into the real world. Keep in mind that reality doesn’t change for you, you have to change for reality. Be humble enough to let reality work on you and results will follow. Going from one client to another and increasing your sales with every new customer, you get to the peak of your potential. How do you keep this pattern consistent and sustainable? You need to have a compelling vision that is significant and important to you. You don’t perform your best without a vision. Have a compelling vision, make it vivid, visualize it, write about it and expand it. Performing at peak is not easy. For example, you cannot say: “Tomorrow I will peak in my performance at the gym, at work, in my relations or in my sales communication”. You need to take baby steps, be patient, train for weeks, months, even years to get to that point. Once you get into that zone, results will follow automatically. Then, you need to maintain this level of achievement by training. These rules of success count for his success as a bodybuilder, but can also be applied to sales communication. Ask yourself “Okay, I’m really good at this and/or this is my passion, so why shouldn’t I become the best one?” How do I do this? Align your passion with your work, do the things that interest and attract you. Be clear about your values, your life purpose and getting to know yourself. It involves hard work and continuous self-development. Success is grounded within you. Know how to maintain it. Thinking strategically means building successful habits. You have to choose a career path you want to excel in and commit yourself to it. Don’t let obstacles stop you. Success is a slow cooking recipe. The most important component is giving back. Do something positive for the world. Be a value provider, try to give more than people are expecting from you. Become a sales communication expert by giving your prospects more than they expect. Then people want to be associated with you, interact with you, do business with you and they want to become your clients. Decision-making means choosing between two or more alternatives. Either through an intuitive process in which you use your gut feeling and emotions or through a reasoned process looking at facts, figures and time. When you stick to the elements of effective sales communication, you are perceived as a reliable and professional business partner. You get to know more about your customers and how they operate. You are able to strategically leverage these advantages to get more deals and business at higher profit margins. The prospect will choose you over your competition. 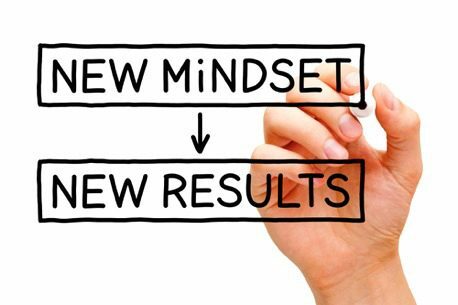 Effective sales communication combined with this new mindset enables you to influence the decision-making process of your prospects, resulting in more sales, more results and more success. Achieve real results with better communication. Use Badger to improve sales communication and decision-making on the road. Sign up for a free trial with us today.